David studied at the University of Aberdeen gaining his LLB in 2005 and diploma in Legal Practice in 2006. He called to the bar in 2014. David was a solicitor with a local authority, working in a general litigation role where he developed a specialism in social housing law. He retains a special interest in local government law and has particular expertise in housing law but since calling has enjoyed working in such diverse areas as commercial law, personal injury, property, incapacity, judicial review, social security, animal welfare and regulatory law. David is equally at home acting for or against public bodies and is happy to accept legal aid instructions. He has represented public authorities, large and small companies and private individuals and he regularly speaks at conferences on a variety of topics. He has appeared at all levels in courts throughout Scotland and in the employment tribunal and has conducted several appeals in the Inner House as junior acting alone. He also regularly appears in the new Sheriff Appeal Court. David’s roles prior to training as a solicitor included working for the Scottish Government and as legal assistant for a large construction company. This latter position involved revising the range of contractual documentation in large construction projects as well as dealing with commercial leases and regulatory compliance. These positions provided valuable insight into the needs of both private and public sector clients. 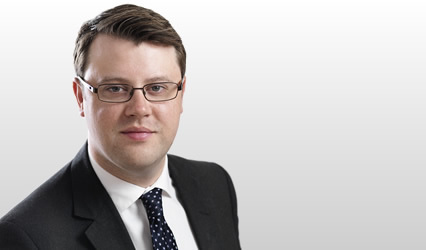 As a solicitor conducted the proof and appeal in a successful eviction case on the grounds of offences convicted at the tenancy and arrears of rent. Rejected defences were a) that the grounds were not established; b) that it was not reasonable to evict; c) that the tenancy had been assigned; d) that the proposed eviction order was a breach of article 8; and e) that the defender had been denied a fair hearing in terms of article 6.